Dave Kover – a continuous giver to the Android community. 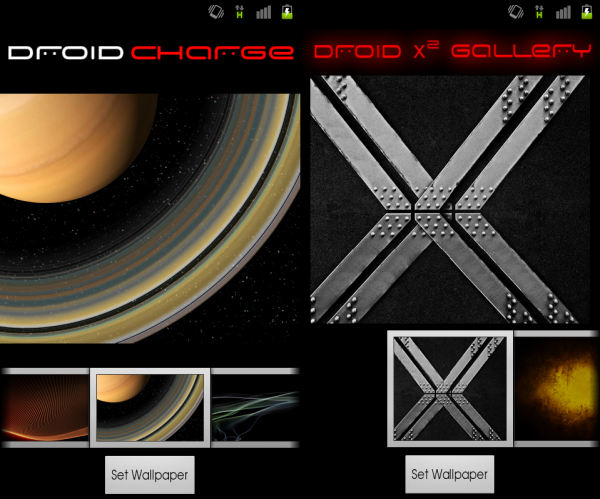 Creator and maintainer of some of Android’s most popular themes, has now put up on the Market individual applications for all of the aforementioned devices’ wallpapers; putting them in easy to use, slick user interfaces. All users must do is download the application, hit Wallpapers from a home screen, then select from the different folders. All the images have been taken from the individual system dumps and packaged nicely for us. Simply hit the links below and be taken to the Market for download. All free. See all of Dave’s great apps and theme add-ons by clicking here. Verizon Looks to End 3G Service, Go All 4G LTE By 2013?